Just a little mischievous, all beautiful. 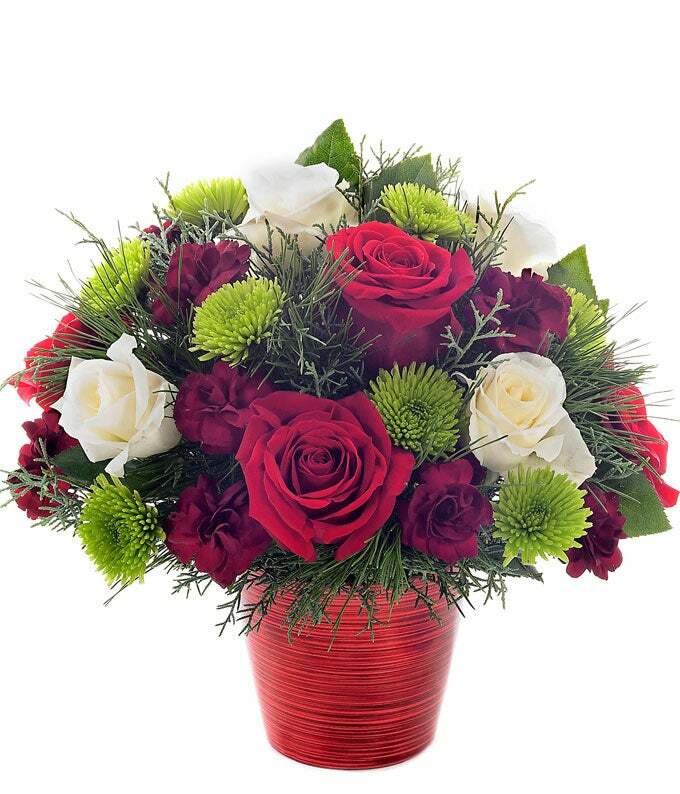 Behold this wonderfully enchanting Christmas bouquet featuring roses, button poms and burgundy blooms in a uniquely crafted red swirl glass vase. Same day delivery available. Measures 11"H by 11"L.